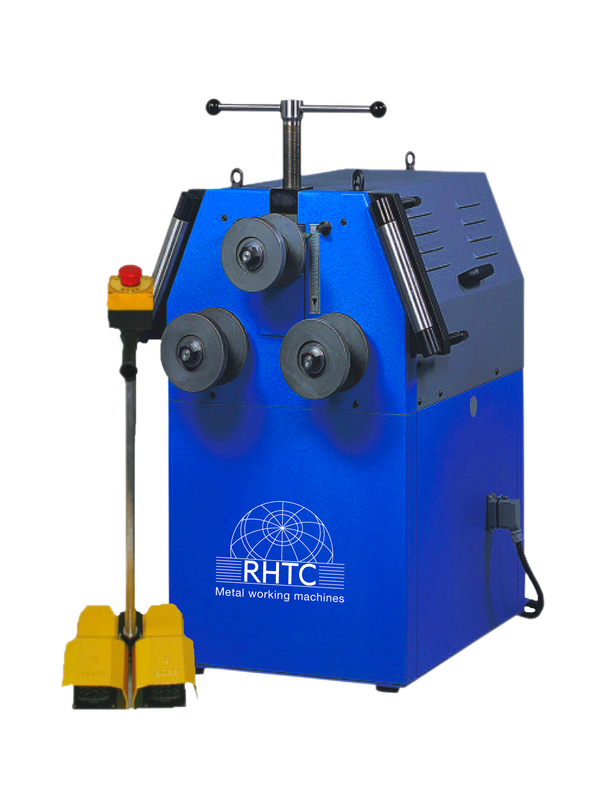 If you want to bend profiles or pipe material, the RHTC profile bending machine is your best choice! 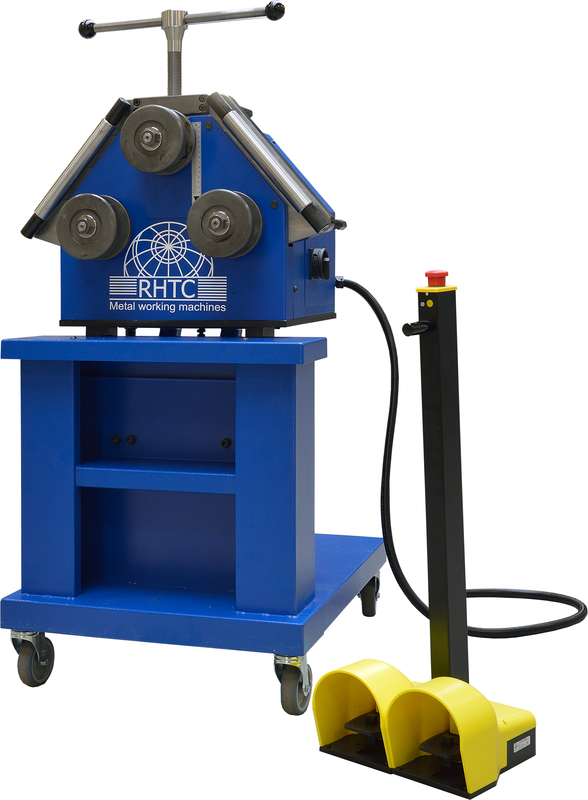 With these profile bending machines you can bend a huge variety of different profiles in almost any desired radius. The frame of these bending machines is manufactured in arc-welded sheet metal and the casing of the machine is made out of steel FE 360. These machines are fitted with two driven rolls, a set of standard rolls (in hardened steel type C40) which can be adjusted to bend the most common types of commercial sections and guide rolls. Our profile bending machines are equipped with a foot pedal with safety device and the machines can be used in vertical and horizontal working position. They can be delivered with special rolls for all kinds of profiles and tubes, correcting tools for angle profiles. Our bending machines have a warranty of 1 year, can be delivered straight from stock, are made in Europe and these profile bending machines fulfil the latest CE-regulations.